Violist Lauren Nelson appears as a chamber and orchestral musician on both modern and baroque viola both throughout the U.S. and internationally. She currently resides in Boston where she can be regularly seen with Boston Baroque, Handel and Haydn Society, Grand Harmonie and Harvard Baroque Chamber Orchestra on her historical viola. She also performs with BMOP, Emmanuel Music, Odyssey Opera, Unitas Ensemble, and Atlantic Symphony Orchestra, and especially enjoys programing interesting and exciting chamber music concerts with delicious hor’d’oeuvres and drinks. Over the years, Lauren has been a regular artist at the Lake George Music Festival, where she has collaborated with Andy Akiho, Philip Ying and Brendan Faegre. She has also worked extensively with members from the Juilliard, Brentano, Borromeo, Ying, Emerson and Apple Hill Quartets as well as performed in Jordan Hall, Carnegie Hall, The Kennedy Center and abroad. Lauren believes that music has the power to reach everyone. Growing up in rural New Hampshire, she was a regular participant at the Apple Hill Center for Chamber Music where she learned how chamber music has the power to create lasting relationships between people from disparate backgrounds. Nowadays, she’s building a career that combines performing, teaching and social action to make an impact on her community. 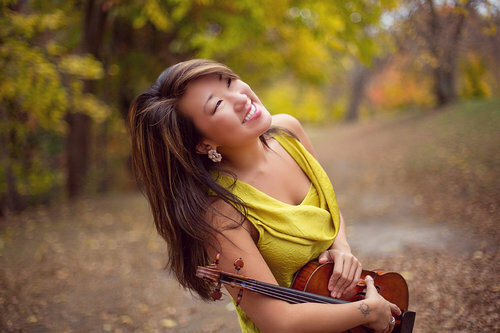 Lauren studied viola with Roger Tapping at the New England Conservatory, where she received a Graduate Diploma. She has a Master’s Degree from the University of Kentucky and a Bachelor’s Degree from the Eastman School of Music under the tutelage of Deborah Lander and John Graham, respectively. In her free time she enjoys hanging out with her cats, cooking, running, yoga and photography.